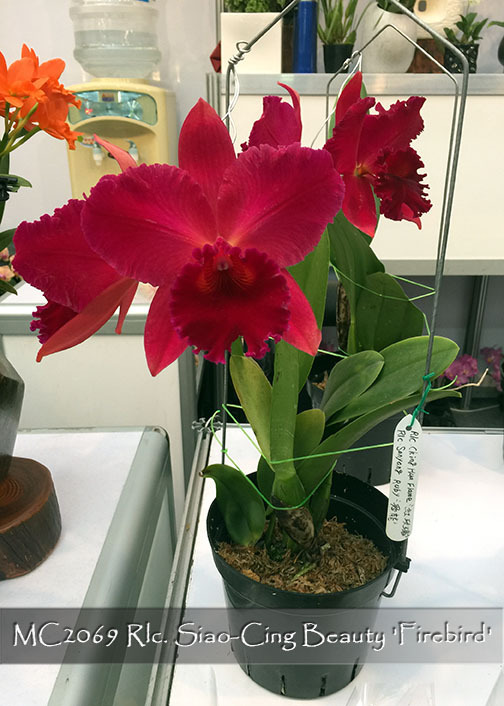 Aptly named ‘Firebird’, this clone is a great new compact growing and spring flowering red Cattleya ! As a first release in the US, it has everything going for it. The pod parent, Rlc. Ching Hua Flame, is Rebecca Merket x Mae Hawkins, a result of two of the best compact red Cattleyas due to their Slc. breeding background. The pollen parent, Rlc. Sanyung Ruby, combines Waianae Coast from Miyamoto Orchids with the famed Chia Lin, giving it an extra shot of yellow. 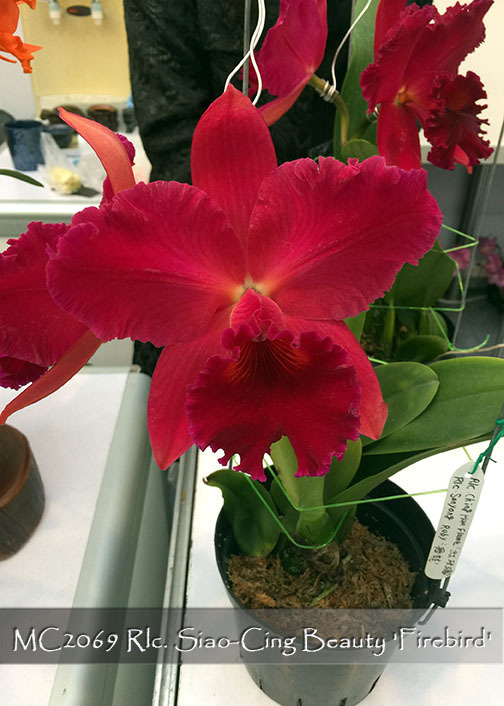 The result has been a very compact grower with rare red Cattleya flowers which bloom in the spring. Highly Recommended !